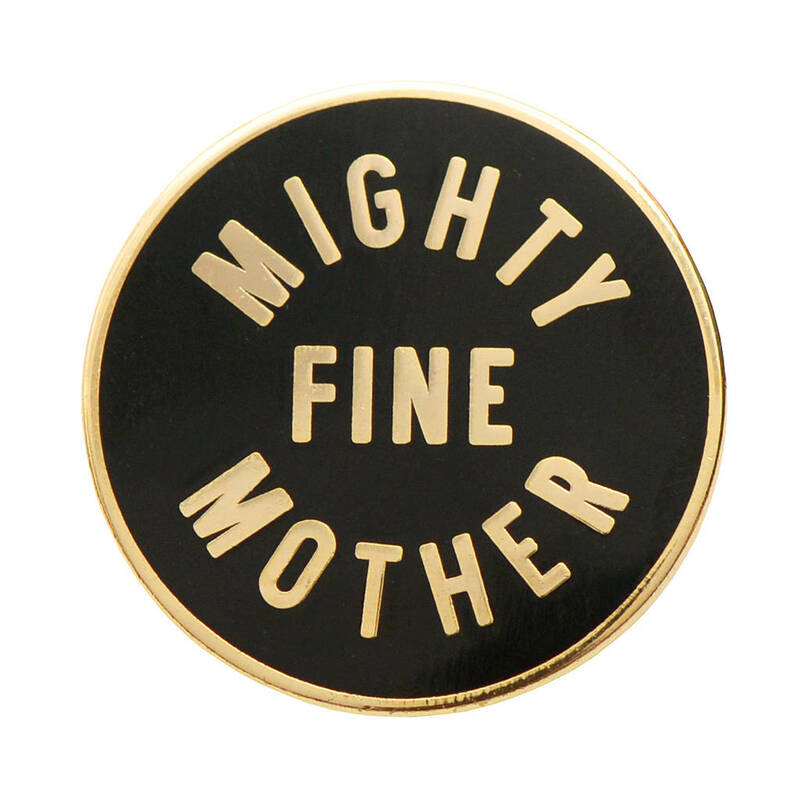 A mighty fine enamel pin for a Mighty Fine Mother! 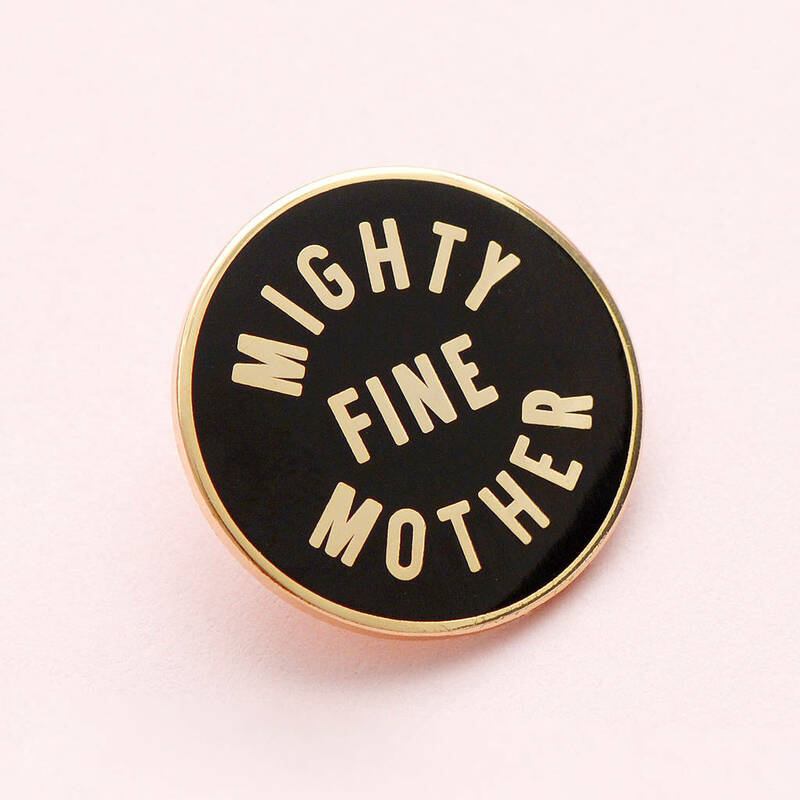 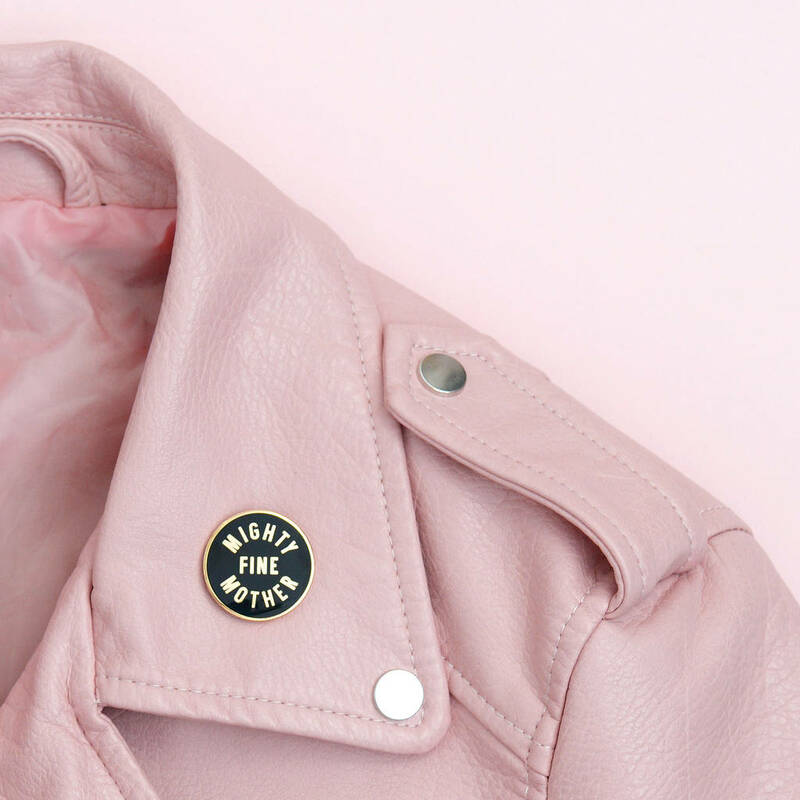 A lovely shiny little pin, featuring our 'Mighty Fine Mother' design. 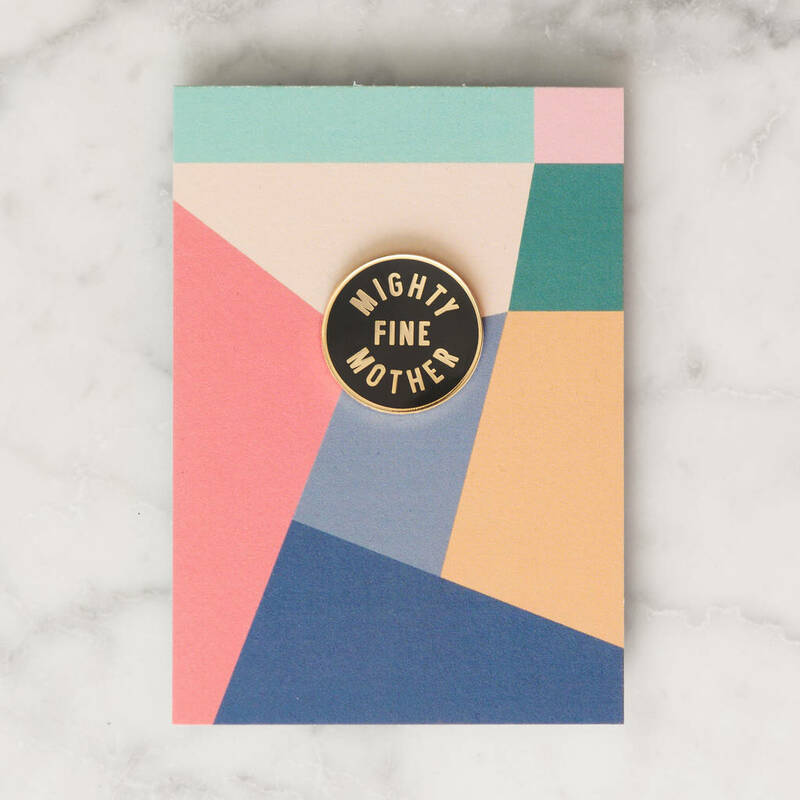 Made from high quality hard enamel and gold toned metal with a rubber clasp. 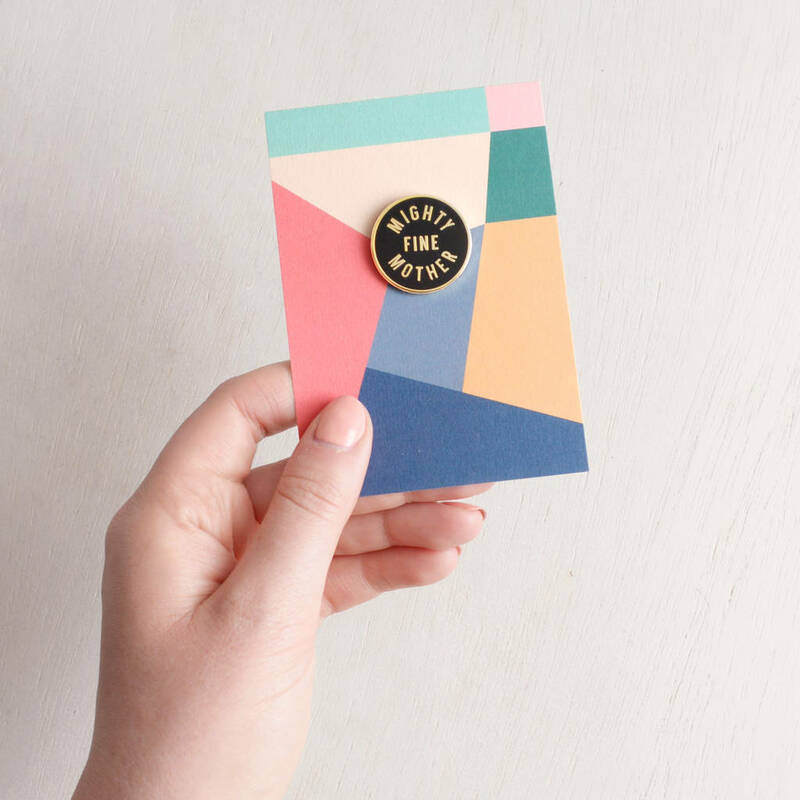 Each pin badge comes backed onto a card. 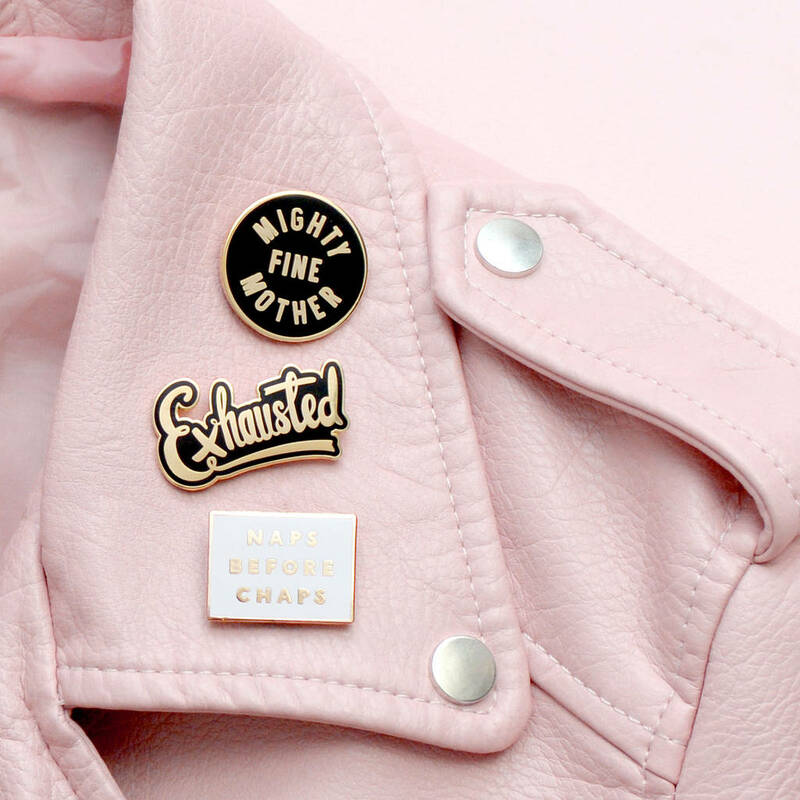 Jazz up your coat, tote bag, backpack, or just about anything with this cute little pin! 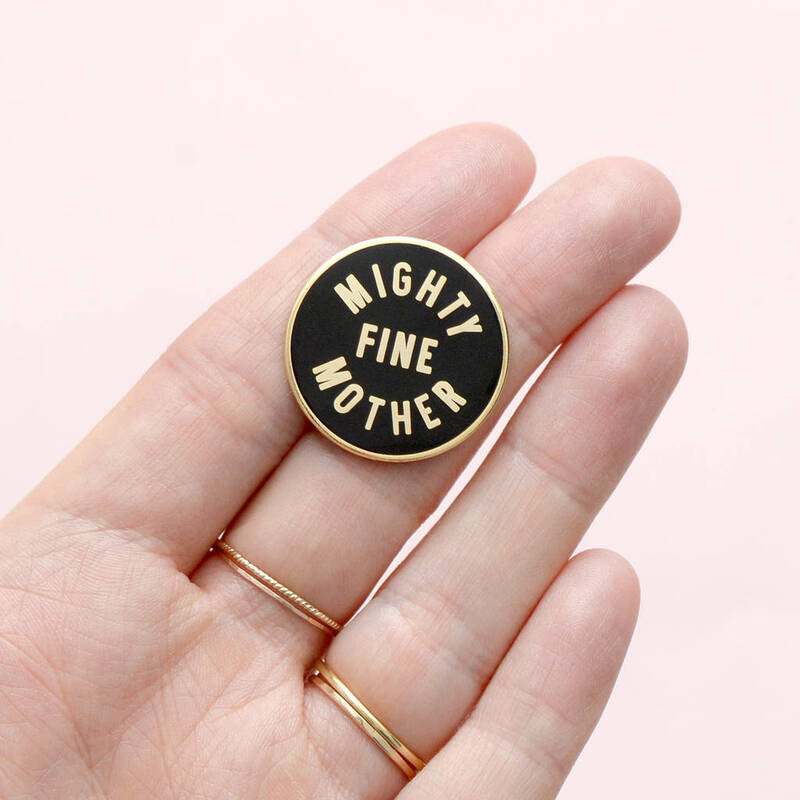 A perfect little gift for Mother's Day!